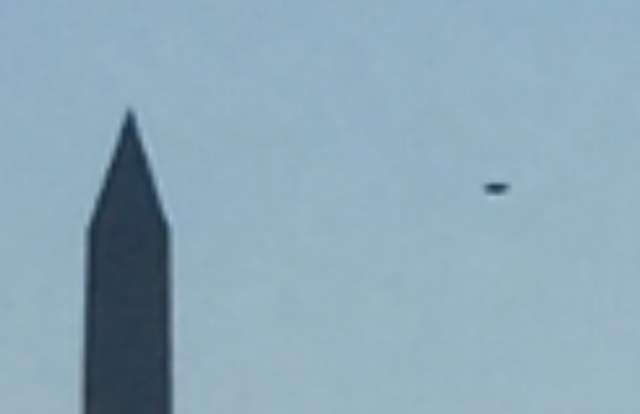 UFO SIGHTINGS DAILY: UFO Seen Over Washington Monument In Newly Released Photo, UFO Sighting News. 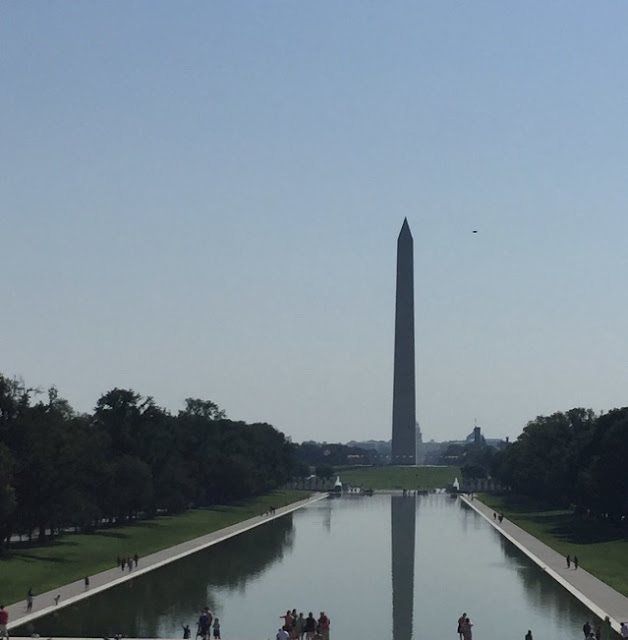 This UFO was caught at the Washington monument a four months ago, but reported today. A dark UFO was near the top of the monument when the photo was taken. 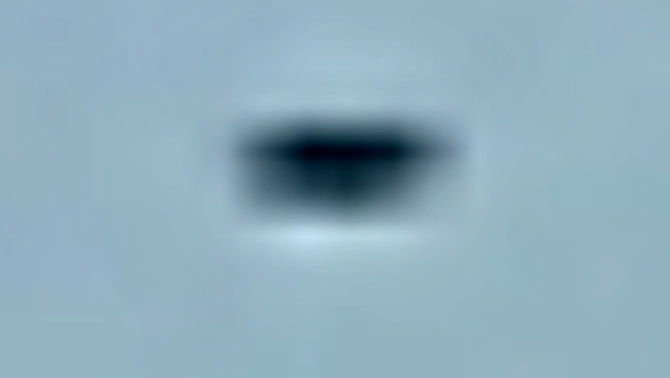 These UFOs often move so fast that the human eye cannot see them, but the digital camera can capture them. This is not the first UFO near this monument. Another was seen on a very important day, Obamas inauguration, back in Jan of 2009. It was seen by CNN reporters as they were talking about the day, one noticed an object shoot past behind them at high speed. He asked the camera guy if he caught it and could run it back for them. 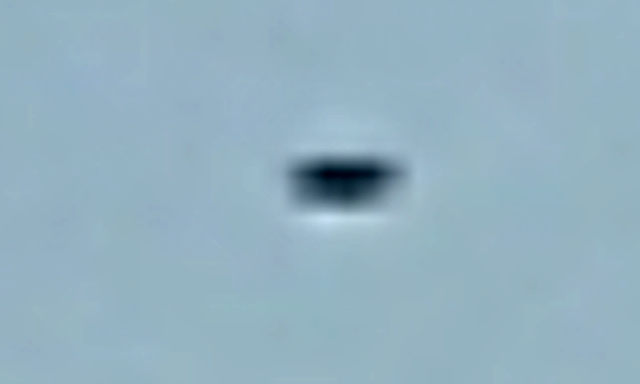 He did, and a UFO similar to the one today was seen shooting over the monument at incredible speed. I will place the video at the bottom of this post to compare, but please make it full screen to see well.